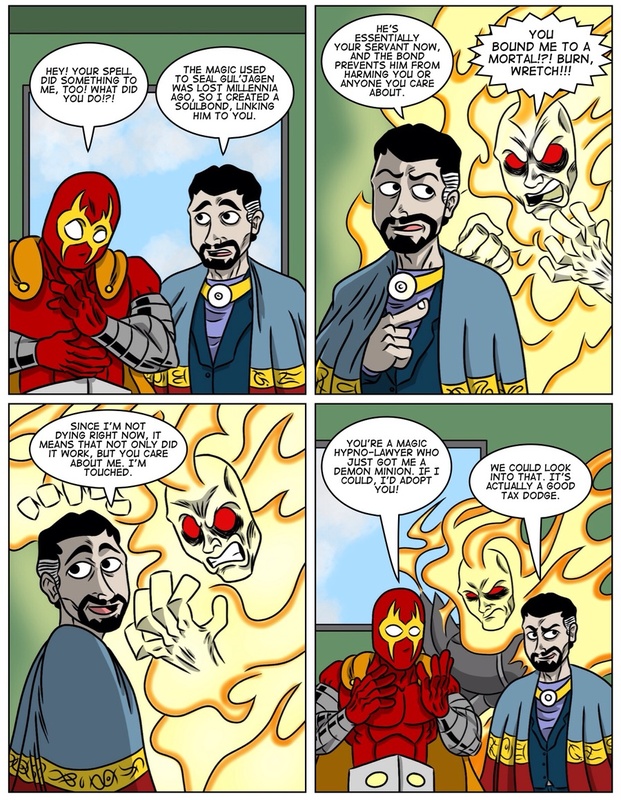 You can leave comments by clicking here, leave a trackback at http://supervillainous.spiderforest.com/comic/meet-the-new-boss/trackback/ or subscibe to the RSS Comments Feed for this post. LOL! Way to swell his head there. And his power grows! And there is my answer. Thank you cliffhanger! That was sweet spell there. Comic gold just waiting to be dug out!